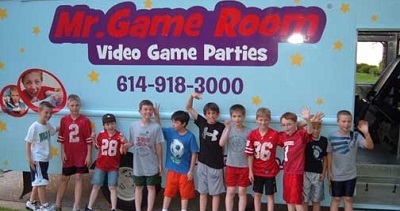 Mr. Laser Tag and Mr. Game Room is your mobile laser tag and video game party that comes to your door step. The limo styled mobile game room is heated and air conditioned and has all the latest games on Xbox 360, Play Station 3 and the Nintendo Wii on up to six giant flat screen TVs. 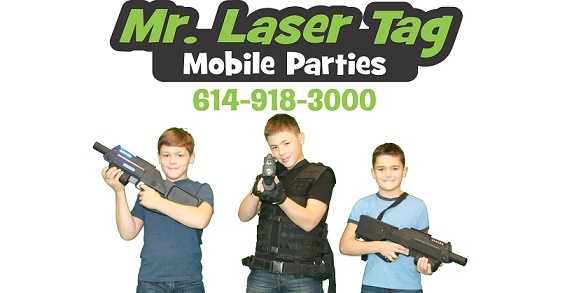 When Mr. Laser Tag and Mr. Game Room arrives at your house, church or city park the fun begins! The kids play inside the Mr. Game Room and your house stays clean and quiet. Mr. Game Room can accommodate 16 gamers at the same time with plenty of room for other to watch, a smaller 12 player Mr. Game Room is also available. The hot NEW birthday party idea! Parties start at $259 with special pricing for schools, churches, and other non-profits. Mr. Game Room Tee shirts and birthday cakes are also available and make great birthday gifts.